PUEBLO –An Emmy-Award winning Atlanta broadcaster and 1980 graduate of Colorado State University-Pueblo will share his insights with graduates in May. Jeff Hullinger will present the Commencement Address during the spring ceremony beginning at 10 a.m. on Saturday, May 6 at the Colorado State Fair Southwest Motors Events Center. 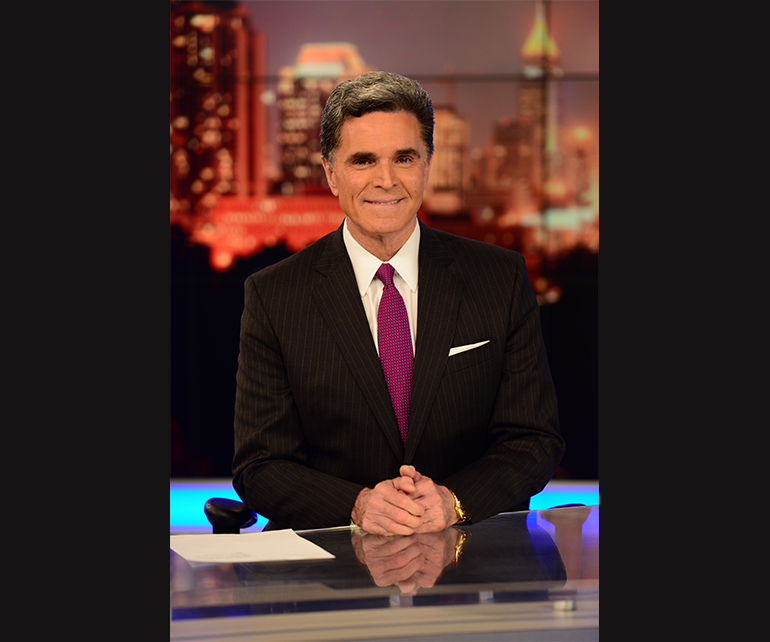 Hullinger currently co-anchors the 5, 6, 10 and 11 p.m. weeknight news on 11Alive WXIA-TV NBC in Atlanta, Ga., and also anchors the weeknight sports segments. He is a 19-time Emmy winner, two-time Edward R. Murrow winner, and a past recipient of Georgia Sportscaster of the Year as voted by his peers with the National Sportswriters and Sportscasters Association. Hullinger has been inducted into the Southeast Chapter of the National Academy of Television Arts & Sciences Silver Circle for 2015. He also has earned multiple television AP awards including two-time honor for Best Play by Play in the state of Georgia while serving as the play by play radio voice of the Atlanta Falcons, as well as many "Best of Atlanta" awards. He also has moderated numerous Georgia gubernatorial and U.S. Senate debates and often served as Host of CNN's Talkback Live. After earning a degree in mass communications from CSU-Pueblo, he began his career at KOAA TV Pueblo/Colorado Springs anchoring sports and later moved to Salt Lake City as the weekend anchor and reporter for KSL-TV. From there he joined KCNC-TV CBS4 in Denver as weekend sports anchor, reporter, and host of the Denver Broncos pregame show. He then served as weeknight Atlanta television sports anchor at WAGA-TV for 18 years. When the bomb went off at Centennial Olympic Park, Jeff anchored eight and a half hours of WAGA-TV's news coverage. Hullinger has broadcast television preseason Atlanta Falcons games in three decades, (the 80's, 90's and 2000's) and hosted four Falcons head coaches’ television shows over the years. He was on the field at NRG Stadium in Houston, Texas earlier this month to cover Super Bowl LI as the Falcons took on the New England Patriots. Hullinger also spent two years as one of ESPN-TV's front line college football play-by-play voices, including bowl games. His favorite experience was serving with ESPN GameDay for the network feature game of the week as the play-by-play voice. Hullinger's call of Morten Anderson's NFC Title winning kick in Minneapolis is played in the Georgia Sports Hall of Fame as one of the state's 10 biggest sports moments. CSU-Pueblo Alumni Association will sponsor a reception for graduates and their guests. For more information about the CSU-Pueblo Commencement ceremony, visit www.csupueblo.edu/commencement.